You will find Mount Brè truly enchanting because of its magnificent view: it is absolutely breathtaking to admire the Lugano region and the splendour of Mount Rosa, the Bernese and the Valais Alps from here. Descending from the summit, it takes just 15 minutes to reach Brè, a village that has maintained its ancient rural characteristics intact, while at the same time, gradually endowing itself with numerous artistic works. 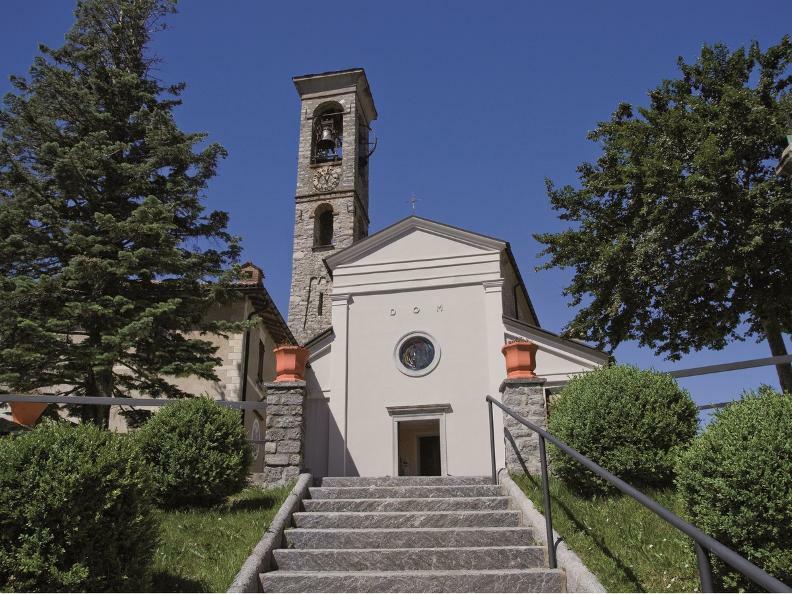 In fact, this village collects the works of Pasquale Gilardi, also called Lelèn, the frescoes by Joseph Birò in the Church of San Fedele, the Schmid Museum, with the works that the artist left, together with his house, to his Municipality of adoption and an outdoor art gallery made up of the works of renowned artists both at the national and international level. Of course, there are also restaurants, small and large grottos with panoramic terraces that offer a circular view on the Lake of Lugano and on the surrounding mountains. You leave Brè (800 m.) and proceed in the direction of Gandria, a very original village that has maintained its peculiar characteristics. The whole route consists in a mountain trail that unwinds through a thick wooded area. Several refreshment points are available at Gandria and its characteristic town centre is well worth a visit. The descent to Gandria leads you to the Naturalistic and Archaeological Path and to the Olive Grove Path. The Olive Grove Path goes from Gandria to Castagnola and passes through an area where the remains of ancient olive groves are still visible and where the olive tree has recently been re-introduced. The path is described starting from Gandria and is indicated by the logo of the olive tree; the path's interest is further enhanced by 18 signs informing visitors on the history, botanical features and cultivation of the olive tree and also of its products (olives, oil). The Naturalistic and Archaeological Path is a didactical trail that passes through the naturalistic and archaeological site of Gandria thus offering the possibility of ideally approaching nature and the history of this special and easily accessible pre-alpine area. Along the route, there are 15 numbered stops for the guided observation of particular environmental characteristics. The natural scenario in which the path is set, allows you also to admire several extraordinary views. From Gandria you proceed to Castagnola along an easy, almost completely level path that coasts the lake and which is much appreciated by locals and tourists. hikeTicino: the App for all itineraries!